I’m gonna use some words to chime in on why I love Avatar so much. Sure, the strong minority who thinks it’s overrated really despises the legacy it’ll still have in 10 or 20 years but us Avatar lovers keep loving this movie because it’s a great experience for us. Sure, the story isn’t original but what is anymore? What is Toy Story but a series of buddy movies told with toys? What are superhero classics like Iron Man all but simple origin stories told with a title-specific superhero each time? What is Love Actually but a whole bunch of romantic comic subplots jumbled together in one film? I love Avatar just as much as I love these aforementioned modern classics. First off, the criticisms involving Pocahontas and Dances With Wolves are poorly cast. Pocahontas is mainly a love story where people from two different tribes meet and fall in love. Dances with Wolves is mainly a story about a soldier being exiled to a Civil War post where he finds an Indian tribe and befriends them. 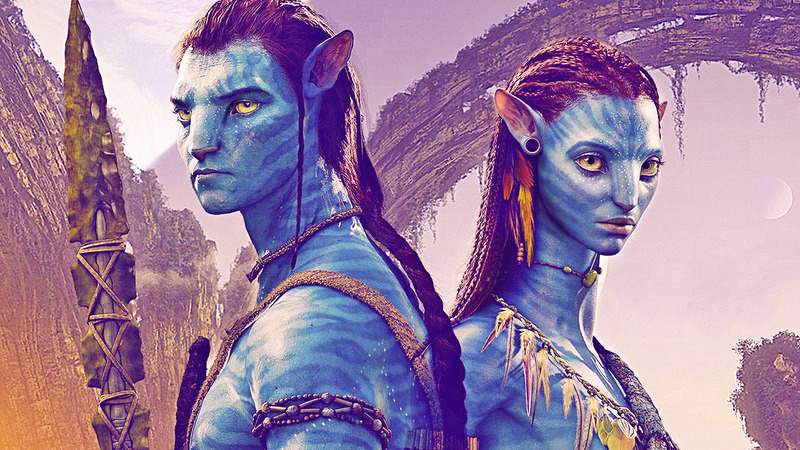 While Avatar shares elements with both of those stories, people tend to overlook that James Cameron took the inspirations from Lean’s cinematic masterpiece Lawrence of Arabia, works like John Carter of Mars, and Apocalypse Now. If you wanna debate me, look this up. He’s stated these in numerous interviews, and he even went back to his own well - borrowing from his own masterpieces Aliens and the Terminator films. Moreover, Dances with Wolves is every bit as derivative - borrowing from some of the same influences this does. What does that tell you? Whether or not you’re tired of seeing this story is fine, just don’t knock the fans for finding this predictable story told well. This brings me to the experience of Avatar - which is what keeps us fans coming back to it again and again. Cameron didn’t spend $300 billion trying to copy other people’s work solely for commerical success. He wanted to take his audience on an adventure throughout another world, and make a universal allegory for spirituality, militarism, and finding a world that’s radically different from where you came… but you belonged to all along. He made a film about Jake Sully’s journey and moral and physical challenges he faced exploring Pandora while finally finding himself assimilating to it. Avatar works for us because this is a story that anyone can identify with. And when you’re playing towards the masses with a science fiction film delivering a world as rich as Pandora - your core story needs to be simple for the audience. It’s a decades-old axiom that works for every blockbuster. Inception worked because at its core - it’s a heist thriller - despite the jibberjab going on about its original universe throwing off and confusing mainstream viewers at points. Avatar is no less entertaining and cerebral. People continue to love this film despite its haters because everything around that unoriginal story is wholly original. The planet of Pandora is one so multi-faceted and clearly detailed that it speaks volumes to the work ethic Cameron put into making his true passion project. The very fact that Pandora orbits two moons and has substantially less gravity than Earth gives the planet a rich bioluminenscence that was utilized well by Cameron’s non-gimmicky 3D - which was more about exploring Pandora than exploiting its jumpier aspects for a cheap buck. Plus, it’s a rare mainstream science fiction film that dared to get as close to science fact as possible; which I’ve verified with a lot of other science buffs in my high school (both teachers and straight-A students). Pandora’s biology is in part from the lack of an Earthly atmosphere - therefore much of its indigenous life is large monsters on the bottom of the surface and its tetrapod species - the Na’vi - are more closely related to these animals than their human counterparts. Above all else, the unobtainium that drives the plot all along is what keeps Pandora floating in space beside the moons. As you can see, the Avatar universe is one that looked and felt like one a decade in the making. Most importantly, that story was a thrilling and entertaining one. Despite some of his dialogue coming off as corny, the incredible Stephen Lang delivered as Colonel Quaritch - easily one of my favorite villains in a sci-fi film. He’s nothing but a nasty, scheming militarist who believes in his duty at all costs - and I absolutely love every minute that guy chews up the scenery. In addition, the protagonists in the film gave solid performances as well, including the actors they chose for the Na’vi. We fell in love with Zoe Saldana earlier that year in Star Trek, but we all went goo-goo retarded for her here because they finally nailed the emotive eyes of the Na’vi - something that Robert Zemeckis could never quite achieve despite his experimentations with performance capture. James Cameron made a thrilling adventure film that took its audience on a ride. People kept coming back to it again and again to relive this emotional yet gut-busting experience. It’s not some Dances with Wolves facismile or some racial nudging flick about while guilt - it’s the story of one man who finds his life reinvigorated by the planet he came to betray. And once we come to realize that this story is being told as a truly epic one - we’ve come to accept its epicness; not just in scope, but in pure heart and emotion. Lastly, if you walked into this film or watched this film on home video waiting to be impressed… you watched it for all the wrong reasons. Great science fiction is about giving us riveting stories via something we’ve never seen before. I honestly don’t believe that Avatar being spoken of along with the likes of 2001, Aliens, The Thing, and The Matrix is a real stretch. All five of these films are life-changing science fiction that managed to be entertaining while offering us a whole new experience from a man whose explored places, environments, and oceans we only dreamed of trekking through as children. That man is James Cameron. And I’ve loved every movie he’s done - including Avatar. I have no problem with you not liking Avatar, just make sure you check your own faves before you begin deriding on everyone elses. Thank you. Original Post courtesy of Preston Mitchell, who runs a film critique blog as good as anything spewed by Roger or Ebert. Thank you for posting this. 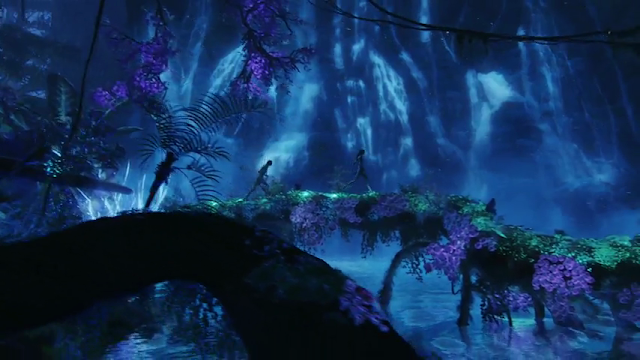 I love the movie Avatar so much for many different reasons. The beauty of watching Jake Sully transform from a military man just following orders into a spiritual warrior trying to bring peace between the two different species and completely falling in love with everything about Pandora and its People is simply breathtaking. Also watching him fall in love with the woman who taught him all of their ways is beautiful. I have the collectors edition DVD set and I watched the making of this movie and James Cameron says that he wanted people that watched this movie to want to be one of The People, and everytime I watch this movie that is exactly what I say, I want to be one of them. I know it might sound silly but I really don't care. Who wouldn't want to fly an ikran that is devoted only to you by a physical bond or be able to hear your ancestors tell stories and laugh through sacred trees and especially see and feel proof of your God every single day? Anyone that has seen this movie and says that they hate it has never experienced something spiritual or could never see the beauty in nature or has never been in love or is involved in the military and just takes too much offense its not like the movies about you! James Cameron is very talented and has a wonderful imagination I love all of his movies but Avatar is my absolute favorite! !